Filthy Rich: DJ, Producer, Label owner, Podcaster, but most importantly, music-lover. And it’s the latter of these attributes that drives him to fulfill the others with such passion and aplomb. 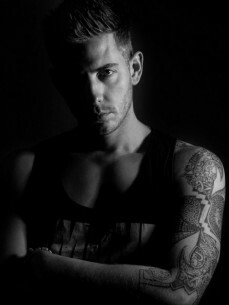 As a DJ he has inspired crowds from Pacha in Buenos Aires to Space in Ibiza, from Ultra in Miami to Ministry in London. Despite having collected such tangible and coveted accolades as Mixmag’s “Future Hero” tag, Rich says “It’s the people coming to the shows and buying my music that’s the real reward, they’re the ones that drive and inspire me to do what I do”. This current breakneck pace began as a music-obsessed student, taking his first tentative steps onto the the 90s dancefloors of Godskitchen and Cream, before picking up momentum on the slippery slope of buying decks, crate digging and playing local gigs for petrol money, which eventually resulted in residencies at Kiss Da Funk and the legendary Gatecrasher. Rich’s influences in the studio are many and varied, taking in universal pioneers like New Order and Daft Punk, as well as more cerebral technologists such as Martin Buttrich and Trentemøller to distill a sound that is as distinctive as it is effective. Of course, Rich is also one half of ever in demand live techno duo, Spektre, alongside Paul Maddox. Together then have steered their focused and revered label, Respekt, to its 76th release, and the accompanying podcast series now has 100 proud editions to its name whilst the pair themselves have turned out a steady and consistently excellent series of steely EPs on a collection of techno’s elite labels including Phobiq, BluFin, Driving Forces and Rhythm Converted. Next up, though, is the duo’s long awaited second full-length artist album, Cyclic Operations, due for release this summer on UK’s leading label Toolroom. Given that Spektre regularly play alongside the likes of James Zabiela at world-renowned clubs like Space in Ibiza, it’s no wonder the pair are so well loved. But that’s enough of the past, because the future is set to be just as good for Filthy Rich: As well as playing at the likes of Godskitchen Global Gathering , Sonar and Groove Cruise Festival this summer, so too does the Filthy one have remixes coming on Rusted, Sphera and Toolroom, new EPs for Incorrect, Great Stuff, NastyFunk and Funk Pony as well as many others.